The 2016 Novice Rig Roundup ended last night. It was neat to hear rigs on the air that I haven't heard in a long time. The NRR also gave me a reason to put my own tube gear on the air. 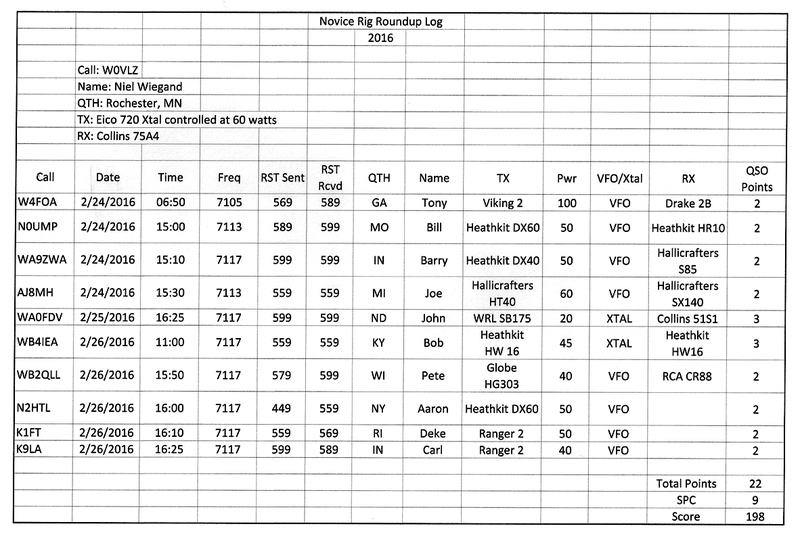 Too often it is easier to sit down, flip on the KX3 and have a QSO. During the NRR, faced with 20 knobs and two meters spread between the 75A4 and Eico 720, I couldn't help but feel master of my universe. There was always one knob more that can be tweaked. Next year I'll be certain to also have my NC303 / Ranger II combo on the air and, maybe, my Drake B Line. 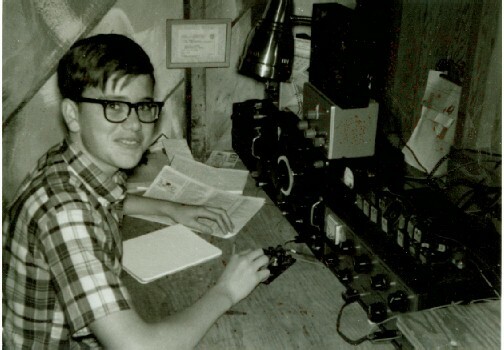 I got my novice ticket in 1966 so this year marks, for me, 50 years of ham radio. Back then I had an Eico 720 and a military surplus BC342. Last night and today I've been able to participate in the Novice Rig Roundup. This is a week long chance to use and hear vintage novice rigs on the air. It runs for another two days. For this year's NRR I'm running an Eico 720 at 60 watts and a 75A4. My winter vertical loads up fine on 80, 40 and 15 so I'm having a great time. Recently I pulled two early draft papers out of my files that, I believe, were written by W2SN in the early 80s. One was "The Saga of the TNT Transmitter" and the other was "Additional Notes on Self-Excited Oscillators". I posted these at https://www.prismnet.com/~nielw/W2SNPapers/Saga_of_the_TNT_Transmitter.pdf and https://www.prismnet.com/~nielw/W2SNPapers/Additional_Notes_Self_Excited_Oscillators.pdf . 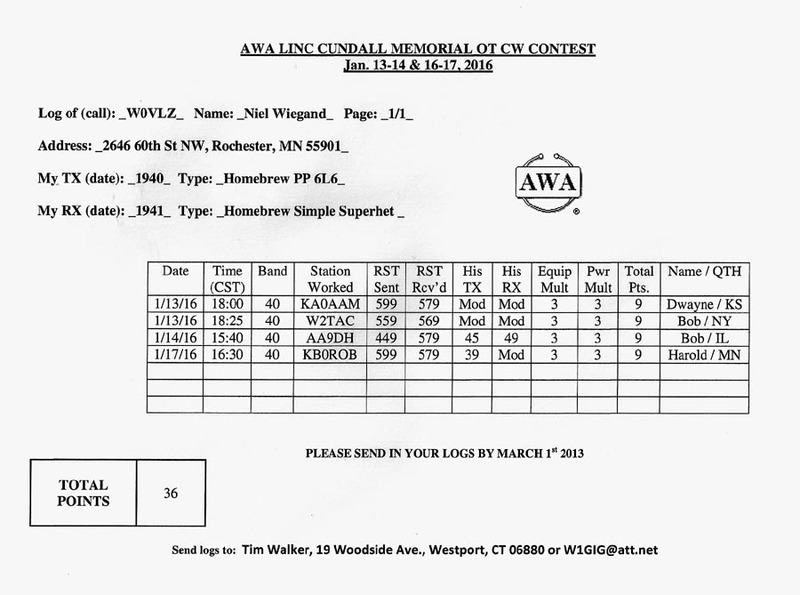 The 1986 Callbook lists W2SN as Vernon Clifford, Amityville, NY. 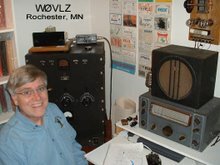 He got into ham radio in the early 30s using a TNT transmitter. Almost 50 years later he decided to build an exact replica of his first rig. Finished, it looked good but when he put it on the air he got a T7 report with a bad chirp. In these two papers he details what he tried (and learned) as he attempted to clean up his signal. Most of us have had a much better experience with the TNT transmitter than W2SN but I've heard some pretty crummy signals also. There is no doubt that the TNT circuit can misbehave with no one "silver bullet" fix but W2SN tried a lot of fixes and nothing seemed to work. My TNT transmitter certainly sounds better on 80 than on 40. Perhaps most of W2SN's testing was on 40 or, heaven forbid, 20. He also never showed the layout of his transmitter. Perhaps there was a basic problem there. W2SN also identified these potential issues. Comments? W2SN's final solution was to use a Hartley. In his case he needed to take this drastic measure. This solution does not necessarily apply to all of us. My TNT transmitter shows some (if not all) of the same problems that W2SN saw on 40 mtrs but sounds fine on 80. Next fall I'll look at some of the areas that W2SN mentioned to see if I can get a better signal on 40.
time/score this year. I couldn't get on much and I didn't hear many stations when I did. I ended up working only KA0AAM, W2TAC, AA9DH and KB0ROB. Still, I did get two of my vintage stations out of mothballs and on the air. That certainly counts for a gold (ok, maybe, bronze) star in my log.